Great location, open view, house was clean, felt like home, had most of the things to prepare meal. Nice bed view, easy parking, plug/outlets were everywhere, nice shower. The cottage was so cute and comfortable. Everything was perfectly planned in the unit and looked brand new! Great facilities at a great location! Everything needed for a short stop over on the road trip! 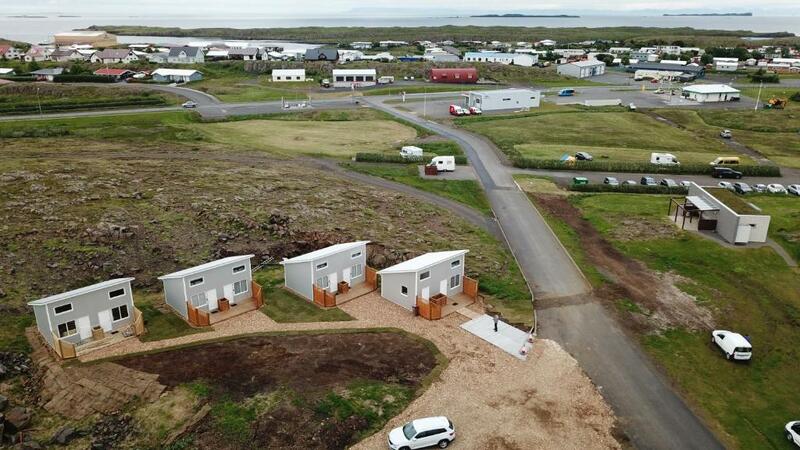 Great, private stay right by the campgrounds in Stykkishólmur. Our private cabin has (almost) everything we needed. Kitchen facilities were excellent. Easy parking right by the cabin. Very nice kitchen with all the necessary equipment. Spacious bathroom. Some thought have went into safety with the first aid kit, fireproof blankets and evacuation ladder available in the house. 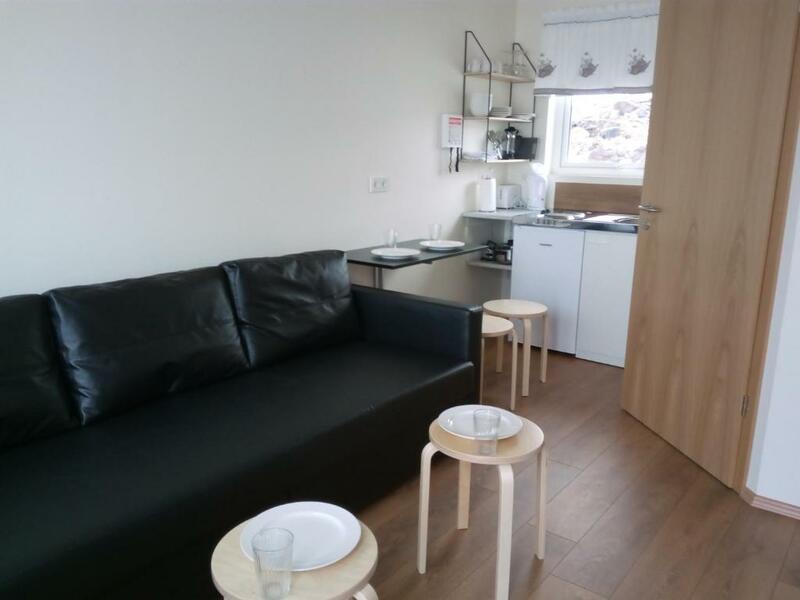 Very well equipped little kitchen and comfy couch which could have been used as extra double bed, if the low sleeping room upstairs and the slightly steep stairs would have been not satisfactory enough. Getting and dropping off the keys by the key locker at the door is very easy. 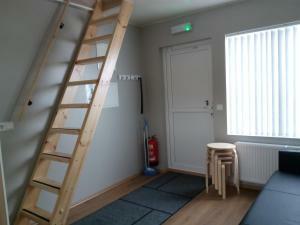 The apartament is small but provided with every comfort. I fell in love with the village of Stykkisholmur and its location. The property was easy to find and the check in process was super easy thanks to the lock box. 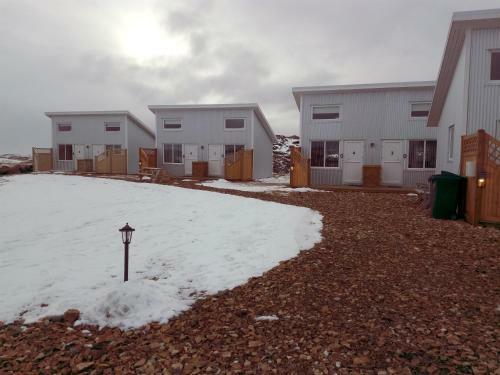 The property was very modern, finished to a high standard and we had a very comfortable one night stay (Which included seeing the Northern Lights!). Also the mountain views from outside the property were stunning! The quaint upstairs bedroom with the window that looked out over the countryside. The kitchen had everything we needed to cook a meal and the heating worked really well and heated the property really quickly. Lock in a great price for Vatnsás 10 – rated 9 by recent guests! One of our best sellers in Stykkishólmur! 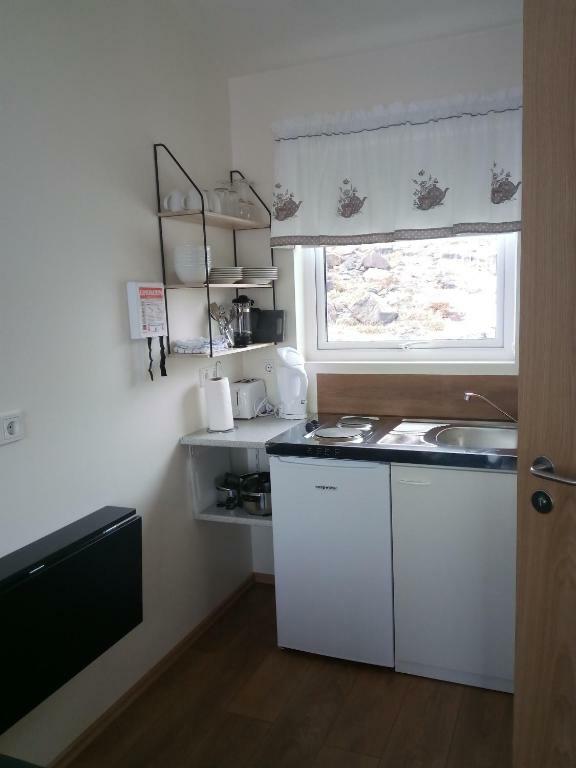 Located in Stykkishólmur, Vatnsás 10 features free WiFi and units equipped with a kitchenette and terrace. A toaster and electric tea pot are also provided. 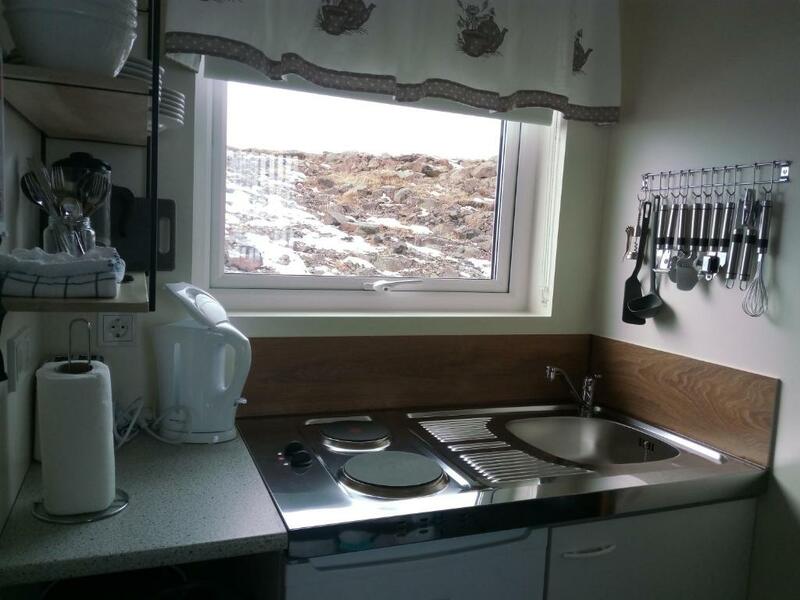 This property is also rated for the best value in Stykkishólmur! Guests are getting more for their money when compared to other properties in this city. 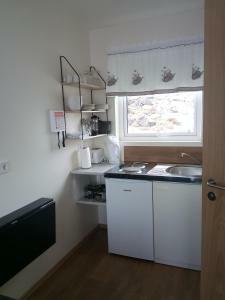 When would you like to stay at Vatnsás 10? 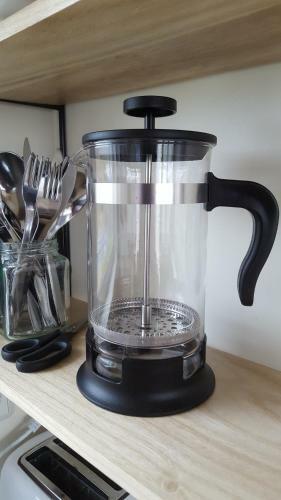 This holiday home has a electric kettle and kitchenware. 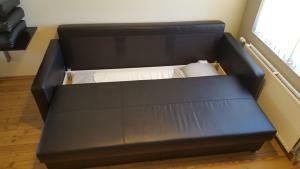 There is a sofa bed (140 cm) in the main room and a sleeping area upstairs with a quality mattress (160 cm). There are low to ceiling and everyone has to crawl. Steep stairs up to the sleeping area. ideal for two people but space for four to sleep. House Rules Vatnsás 10 takes special requests – add in the next step! Whoever is sleeping upstairs needs to wake up carefully, because the ceiling is VERY low. The direct surroundings are just „developing“ and will possibly look nicer later with plants and other decorations. When staying just one night like us, this is not important at all. Everything was perfect. For people who are a bit claustrophobic maybe not the best solution as the ceiling of the bedroom is very low. The property itself is on the small side so not really suitable for a longer stay when there's more than 2 of you. Also there are only two hobs available for cooking which somewhat limits you if you plan to self cater! The toilets were not functioning properly but it was not a big deal as we managed to get around. It exceeds my expectation. The Price is very reasonable with such a small but comfortable "house". Kitchen facilities are superb, you got everything you need. Location is great, near a Golf club. away from city light pollution. Manged to see Northern Lights for the 2 stays. less than 2min drive to Gas station and supermarket. Perfert for home-cook style.